A patent is a term used to describe a right provided by the government of where the patent owner lives. This right gives the owner the opportunity to use that invention in the country where they live. It is good to point out that patentable innovations must be completely unique and unrelated to other inventions that are already available in the public. 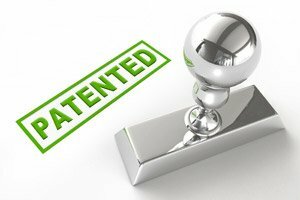 In order to get a patent for an idea, the inventor must apply for a patent by filling and submitting a special application to the local patent office. These applications include descriptions and explanation about the invention and what part of the invention needs to be protected. It is the best idea to hire a professional who has experience and qualifications to work in this field before you submit the application. They know how to patent an idea in the easiest and most comfortable way. Once the body that is appointed to analyze requests like this decides that this idea or innovation is worth patenting the owner will get an official confirmation. It is also worth mentioning that the patents are usually limited in terms of duration – they usually last for 20 years. Once this amount of times passes, people will get full access to the elements of the product and a description about how it works. In case you are wondering why you should choose to patent your idea you should take a closer look at the advantages that this activity brings. To start with, most ideas and innovations that are worth patenting have been developed for years. The inventors spend a lot of time and funds in order to develop their basic idea. Patenting is here to protect this work from the competitors who can simply use the progress you’ve made and continue with the development. In some cases they can completely use the entire product and make profit. In addition, even in cases when the developers work on a similar project that has started later they won’t be able to use it on the market. In other words, the inventor uses the patent to protect their work and investment. Furthermore, many people use patents in order to create interest and encourage investment in their business. This is very important for companies that have just appeared on the market because they don’t have enough funds to continue with their projects. The patent gives an impression of seriousness of their project. We all know that the number of start-up companies is growing in the past few years thanks to the advance of technology and most of them use patents as a form of protection and providing a feeling of security in the potential partners. It is very difficult to collect the necessary funds if you don’t have a proof that your work is unique and useful and this is exactly what you can get by obtaining a patent. There are situations in which the developer cannot continue with his plan because of different reasons – they don’t have the necessary knowledge and resources or maybe due to some health issues. This means that they can license their patent to other companies or people, so they can continue their work. As you can see there are many reasons why you should patent your unique idea and the best way to do it is to hire some professionals that work in this field. How to find good essay writing service?